Please welcome to the Editor’s Q&A corner mothers of multiples, writers, and founders of Multiples Illuminated, Alison Lee and Megan Woolsey. Beyond Your Blog got the scoop on the open call for their anthology series, opportunities to write for their website, and future plans for the Multiples Illuminated brand! Q: We talked about Multiples Illuminated, both your anthology series and contributor-based website during our spring 2016 podcast. Can you recap those two projects for readers and give us an update on where you are with both? A: Our book Multiples Illuminated: A Collection of Stories and Advice From Parents of Twins, Triplets and More was released on May 1st. This first book in the series focuses on infertility, pregnancy, delivery, the NICU, and the first few years of raising multiples. We are continuing to market the book right now to get it into the hands of moms and dads of multiples around the world. We are also donating books to hospital NICUS to support parents who have babies staying in the NICU. We have also completely rebranded our website, which offers new articles every week with a fresh look at raising multiples today. We are always looking for contributors! Subscribers to our newsletter that goes out every two weeks will receive our latest blog posts, a heads up on any news on our books and calls for submissions – we would love to have people sign up! Q: What is the latest on the current anthology, and do you plan to publish any additional anthologies in the series? A: We have an open call for submissions for our second book in the series, Multiples Illuminated: Life With Twins and Triplets, The Toddler To Tween Years. This book will feature stories and advice about raising multiples from tantrums to tampons. Again, with this book we hope to make readers laugh and cry and feel like they are not alone in the crazy fun world of raising multiples. Submissions close on November 30, 2016, and we are excited to see all the wonderful essays coming in! We plan to release this book on National Twin Day on August 4th, 2017. Our third book in the Multiples Illuminated series will focus on teens in the grown and flown years, which is projected to be published in 2018. Q: What are some of the things you are doing differently with the second anthology, as well as some of the things that worked really well that you are duplicating? A: We are doing many of the same things for the second book, but there are a few parts of the process we are changing up. After all, book writing, editing, and publishing is a learning process and we learned so much from self-publishing the first book. The format and layout of the second book will be just like the first – with advice at the start of each section, and ending with a journaling prompt. We are working with the same designer who created our beautiful book cover for book one. Our method for deciding on which essays to accept will remain the same, with both of us reading, voting on, and deciding unanimously. We are still using Submittable for this process, which is awesome. The tools we talked about in our podcast with Beyond Your Blog are still the ones we are relying on for the second book – Trello to stay organized and on task, Google Drive on collaborative documents, Skype and Facebook Messenger as our means of communication. We are doubling the time for the call for submissions for the second book. By giving a four-month window, we want to really get the word out and give people more time to craft an essay. With that, we hope to receive more gorgeous writing. We are also taking the entire publishing process a bit slower this time. With the first book, it took us nine months from beginning to end to produce the book. With the second book we are giving ourselves more time — 12-months — from start to completion. This will give us both time to ramp up our marketing efforts on the first book, and time to ensure that the second book is as good as, if not better than the first book. With the first book, our learning curve in the world of self-publishing was steep. Everything was new to us and there were a couple of things we could have done better. We heard so much about pre-orders for books which boosts Amazon rankings and through a series of minor errors, we lost the opportunity for that. When we shared our Amazon link to pre-order the book, it was actually not a pre-order – our book was available for sale! We had misunderstood how it worked in the backend, and it was an irreversible result. We now know better! Q: Let’s talk about MultiplesIlluminated.com. How many contributor pieces are you publishing each week/month on the website? A: At the moment, we publish one piece a week, and once a month, our regular columnist Briton Underwood of Punk Rock Papa writes an original essay for us. We are always looking for new or previously published essays we can run on the blog. Q: Can you describe the type of content you are looking for and give us some examples? A: We are looking primarily for pieces on raising multiples of all ages and stages in life. We would also love to receive articles on self-care for parents, life hacks, and seasonal pieces e.g. Mother’s Day, Father’s Day, Halloween, Thanksgiving, Christmas and so on. We love well-crafted personal essays offering a universal perspective, humorous lists, and practical tips and advice. Q: Walk us through the submission process for MultiplesIlluminated.com. A: Email us at multiplesilluminated@gmail.com with the subject “Submission”. We accept both previously published essays (include the link) and originals (attach a Word document). In your email, give us a brief intro of who you are and why you think your submission is suitable for MultiplesIlluminated.com. Include a short 3 to 4 sentence biography and social media links, and a headshot. Because Megan and I live on opposite ends of the world, one of us is always online and checking emails. You can expect to hear back from us within 24 hours. Q: What are some of the benefits you offer to MultiplesIlluminated.com writers? A: We would love to pay contributors. Unfortunately, at this time, we are unable to do so. That being said, we do have a unique opportunity with submissions for our second book. For the essays we love but do not fit into the scope of our book, we will pay $20 to publish that essay on our website. 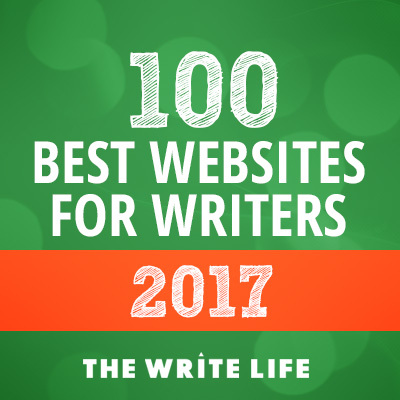 The benefit we offer to writers who are published on our site is that we promote their work across all our social media channels, including our personal social media accounts. We highlight all contributor essays in our newsletter as well. Q? Do you accept previously published work? A: Our headquarters is in Northern California, USA and Malaysia! We love and accept work from writers around the globe. Q: What are your expectations for how writers should promote their posts on MultiplesIlluminated.com? A: We would of course love for our writers to promote their posts on their blog (if they have one) and on their social media channels. Responding to comments on the post itself and on Facebook and or Twitter is great too! Q: As far as rights go, are contributors able to republish something you have published of theirs in the future? A: Yes, we are happy for contributors to our blog to republish that essay on their own blog or another site – we only ask that they wait 30 days after the publishing date to do so, and if it was an original for Multiples Illuminated, to cite that in the essay with a link back. As for contributors to the books, we hold the rights to that work for 12 months after the publication of the book, after which those rights revert to the writers. Q: What’s next for Multiples Illuminated? We are offering a new lower price of $12.95 on our first book Multiples Illuminated: A Collection of Stories and Advice From Parents of Twins, Triplets and More, so we are focusing on promoting that, and reaching more parents of multiples who we feel will benefit from reading this book. Our call for submissions for the second book, Multiples Illuminated: Life With Twins and Triplets, The Toddler To Tween Years, is open until November 30, 2016, and we plan to release this anthology on August 4, 2017.